Located in the heart of Houston, TX, with easy access to restaurants, shopping & entertainment. Summervale is located in the heart of Houston, Texas, making it easy to live where you like to work and play. We are situated just north of the Westpark Tollway and east of the Houston Tollway. This great location is guaranteed to make your life comfortable and convenient. You are just minutes away from local shopping venues, restaurants, and entertainment such as the AMC Studio 30 Theater for movie night or Dave & Buster’s, both of which are nearby. Make life fun again with Summervale. With seven designer floor plans, finding the right apartment home to fit all your needs has never been easier. Choose from one and two bedroom floor plans to enhance your style of living. We feature modern fully-equipped all-electric kitchens for your meal preparations and central air and heating to keep you comfortable year-round. For organization you will love having extra storage space and walk-in closets to keep things tidy. Unwind after a long day on your personal balcony or patio. With an unmatched combination of comfort and quality, Summervale is sure to surpass your expectations. We are a community that gives you the flexibility to balance the needs of life inside and outside the home. Wash away your worries and have loads of fun in the laundry facility. 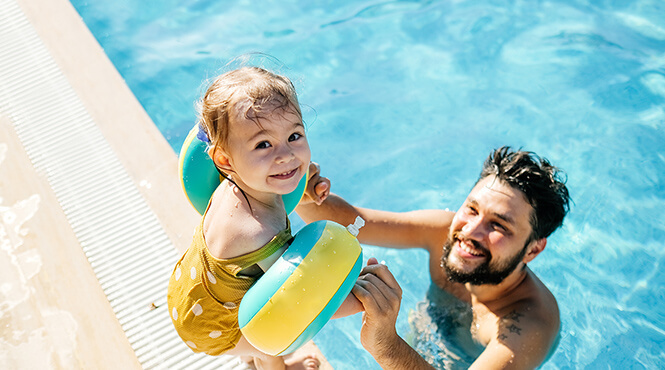 For more excitement, take advantage of community amenities such as the picnic and barbecue area to create your Texas favorites or come take a cool and refreshing dip in the shimmering swimming pool. We are a pet-friendly community, so bring your pets along as they are part of the family too. Give us a call today and discover the perfect lifestyle you have been looking for here at Summervale.